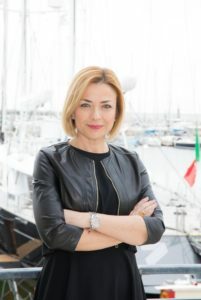 Perini Navi, world leader in the design and build of sailing and motor yachts, announces the appointment of Simona Del Re as Communication and Branding Manager. Simona has an extensive experience in luxury communications, having worked for prestigious international luxury fashion companies, including the Marzotto Group (then renamed Valentino Fashion Group). Simona has served as Corporate Communications Manager for Gucci and as Strategic Communications Director for the Lane Crawford Joyce Group, Asian leader in high-end fashion retail based in Hong Kong. Simona graduated in Business Administration at Bocconi University in Milan.